Join NSBE DC on Monday, October 5 for our upcoming Professional Development (PD) meeting! 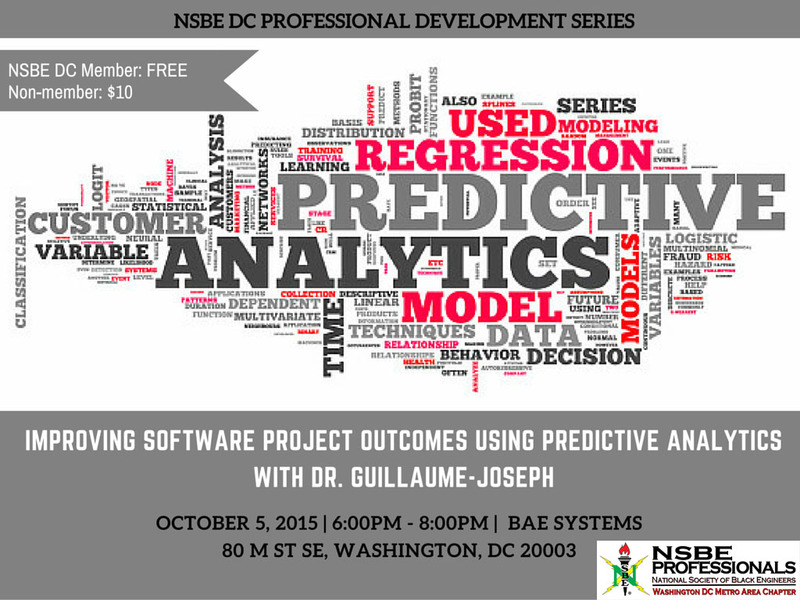 Learn more about predictive analytics with Dr. Guillame-Joseph, President of INCOSE WMA! Attendees will have the opportunity to network 6:00pm-6:30pm. For questions, please reach out to the Professional Development Chair at professionaldevelopment@nsbedc.org.